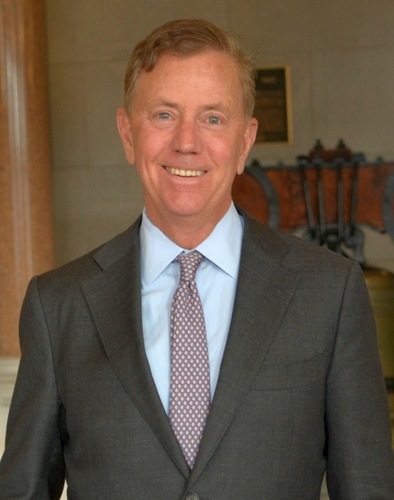 Longtime club member, and newly-elected governor, Ned Lamont, '76 will be the speaker at our 2019 annual dinner on Thursday, June 20th at the Country Club of Darien. Please save the date for the Harvard Club of Fairfield County's 2019 annual dinner on Thursday, June 20th. We are excited to welcome Connecticut Governor Edward M. Lamont, Jr., Harvard College class of 1976, as our speaker. Ned is a longtime and active member of our club who has volunteered his time to interview college applicants and has contributed to our events. He will be speaking to us at an important and interesting juncture in his new governorship - just days after the end of the 2019 legislative session in Hartford. We are looking forward to hearing his insights into the direction of our state. We are also pleased to host the incoming students from Fairfield County who will enter the college class of 2023. The event will be at our traditional venue, the recently-renovated Country Club of Darien. Cocktails and conversation beginning at 6 pm, followed by dinner and the business meeting, then the governor's remarks. $55 for HCFC members and their guests, and $75 for non-members.